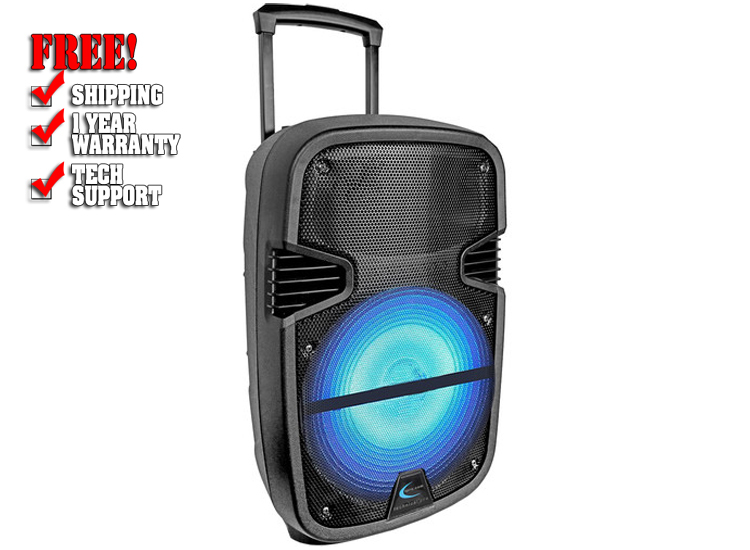 The Rechargeable 12" LED Active Loudspeaker with Carry Handle and Wheels from Technical Pro is a portable speaker designed as a complete self-contained loudspeaker system. It features a peak output of 2000W and has LED effects lights, for use in applications such as DJ setups, speeches, karaoke parties, and more. For wireless connectivity, the loudspeaker comes compatible with Bluetooth devices that enable you to connect to smart phones, computers, and a variety of music-storage devices. For wired connection, it comes with a standard 1/8" AUX-input port as well as USB flash drive and SD card inputs. A 1/4" input also gives you the freedom to connect to wired microphones for karaoke or live music. Furthermore, there are separate volume and echo controls so you can seamlessly match vocals to the music. 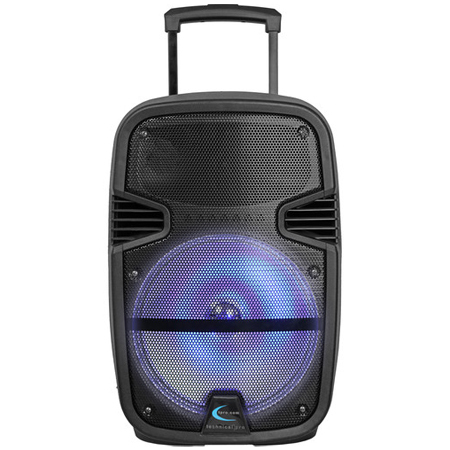 Also, for a visual show as good as audio, the Rechargeable 12" LED Active Loudspeaker with Carry Handle and Wheels also comes decked out with crisp, LED effects. Box Dimensions (LxWxH) :	23.0 x 15.3 x 12.75"